E Street Band guitarist Steven Van Zandt has begun putting together a record for Sixties pop hit-maker Darlene Love, whose voice appeared on countless Phil Spector–produced singles like "He's a Rebel" and "Zip-a-Dee-Doo-Dah." Van Zandt says he promised her he'd make a record with her about three decades ago, "depending on where you want to start counting," but that he's excited it's "finally" coming together. To make it worth the wait, he's enlisted many of his famous friends to accompany the singer, who recently reentered the spotlight after being featured in 20 Feet From Stardom, the acclaimed documentary on backup singers. Speaking to Rolling Stone on the red carpet before Lady Gaga and Tony Bennett's Cheek to Cheek taping in New York City Monday night, he listed a who's who of songwriters. "I'm writing," he says. "Elvis Costello's writing. I've talked to Bruce [Springsteen] about a song." Additionally, Van Zandt says he's been in touch with the songwriting team of Cynthia Weil and Barry Mann – who wrote the Spector-popularized hits "You've Lost That Lovin' Feelin'" and "Walking in the Rain," among others – as well as Mike Stoller, coauthor of early rock hits like "Hound Dog" and "Jailhouse Rock," and singer-songwriter Carole King. "Everybody I know that is a great songwriter, I'm talking to," Van Zandt says. "We're hoping to have an all-star album for Darlene, which she deserves." The guitarist, whom Springsteen inducted into the Rock & Roll Hall of Fame this year with the rest of the E Street Band, says he intends to record the album in his own studio. Regarding when the record might be done, Van Zandt says, "Maybe in time for Christmas. If not, then the first of the year." Love was inducted into the Rock & Roll Hall of Fame in 2011, along with Alice Cooper and Neil Diamond. "I just spoke to Bruce Springsteen and Steve Van Zandt about it," she told Rolling Stone at the time about her induction was announced. "Bruce said, 'Congratulations! We did it!'" Last edited by sweetest punch on Mon Aug 11, 2014 3:56 pm, edited 1 time in total. Stevie Van Zandt prepping for the strings of ‪#‎ForbiddenNights‬, a track written by Elvis Costello for Darlene Love's new album ‪#‎legends‬ & very exciting stuff! Work on a Broadway musical project is abandoned after two years of development. The third such work to remain unfinished, it nevertheless yields a number of completed songs all of which remain unrecorded to this date but include the ballad, "Forbidden Nights". Darlene Love is giving a free concert in San Francisco today. At the pre--concert talk, I fed Ben Fong-Torres a question about the new album and the song Elvis wrote. According to Darlene, Elvis has written two new songs and they were both custom-written for her. So maybe this project was mooted quite a while ago or Elvis has adapted Forbidden Nights, an already written song for her. “Finally.” It’s the word Darlene Love says with a laugh when you ask her to describe what it’s like being in the studio with Steven Van Zandt, 30 years after the two swore they’d make an album together. With Van Zandt enlisting songwriting help from his famous friends like Elvis Costello, Bruce Springsteen and Barry Mann and Cynthia Weil—who wrote The Crystals’ 1962 hit “He’s Sure The Boy I Love,” which featured an uncredited Love on lead vocals—she told Radio.com that people are “going to be very surprised” by the album, due out later this year. At 76 years old, Love isn’t the least bit concerned about getting lost in the shuffle of the current crop of pop divas, making it clear there’s more than enough fans to go around. As Love gears up for her first album in nearly three decades, the the Rock and Roll Hall of Fame member also says goodbye to a gig she’s held for the past 28 years. This upcoming December will mark Love’s last performance of “Christmas (Baby Please Come Home)” on The Late Show with David Letterman, a slot she earned after Letterman saw her in the musical Leader of the Pack. When she first got a call in 1985 from the host’s original late night gig, Late Night with David Letterman, to play the song, which Letterman dubbed “the greatest Christmas song ever written,” she actually had to pass due to a scheduling conflict. But that’s what often happens when you call someone mere days before you want them to appear on the show. Radio.com: After nearly three decades of saying you’re going to do a record with Steven Van Zandt you’re finally recording with Steven Van Zandt. Was it worth the wait? Darlene Love: I knew if anybody could record me and make a great album it would be Steven Van Zandt because he knows my music, he knows the Phil Spector music. We knew it would happen one day, we just didn’t know it would take 30 years. And believe me, we’ve been keeping busy during this time. Steven was busy and then he got busier when he did [Sopranos] and when he got the television show in Sweden [the Netflix show Lilyhammer] so for him to cut out the time in his busy schedule to do this, to me, means a whole lot. And his word. He said he was going to do it, he didn’t say when, or how long it would take. You know what I always say, everything is timing. And I think this is just the right time for it to be done. Why was now the right time? Lil Steven has been posting photos of the two of you in the studio on his Facebook page, including one of a string section working on the Elvis Costello-penned track “Forbidden Nights.” Can you talk about that one? You know what, you never know what Steven’s going to do. You never see his genius until you get in the studio with him, how he works, how he makes sure every note is right. We had this one song that was a particularly hard song for me to sing. First of all, he made a demo for me with the melody that he wanted me to sing and he wanted me to sing it exactly how he wanted it to be sung. And that’s fine with me, that’s the way I want it. The goal is to get it exactly the way you want it, which is amazing, I just didn’t know he’d be that particular about it. I knew he would want it right, but I didn’t know two or three different words he’d want me to sing in different ways. The great thing about it is he can tell me how he wants it. A lot of time producers can’t tell you exactly what they want. Steve can tell you exactly what he wants the singers to sing which is great. He paces, he goes into the studio, he gets his guitar out and plays it the way he wants you to do it. He’s a master. He’s a genius at getting people to do what he wants them to do. Have there been moments in the studio where you’re just in awe of how he works? I read that Steven and you were looking to have Carole King write a song for you, is that still the case? We were trying to get her, but she told us that she loves to write, but she’s just not writing songs anymore. Which is great, at least she told us how she felt. We understand, she’s out and about now doing a lot of charity work. So that’s really where her focus is, which is wonderful. We understand. We’re all in this business. It’s about right now, and right now she’s not writing. Have you and Steven talked about what you want the album to sound like? The sound that radiates out of me, that Steven actually wants, it always ends up having the Darlene Love signature. That’s why he’s looking to the people that he knows can write for me. You know, look what he did for Home Alone 2 with that Christmas song ["All Alone on Christmas"]? He knows how to record me. This is something my heart has always wanted to do, put out another record that’s not a Phil Spector record. Because people say, ‘Is there anybody that can do another Phil Spector record?’ I don’t want to do another Phil Spector record, I want to do a Darlene Love record! [Laughs] It is 2014 people, it’s not 1963! I want to do this stuff, and people want to hear it. That’s what’s going on right now. What younger artists right now do you think have the goods to stick around for another 30 or 4o years? I told Steven, ‘Try to get in touch with Pharrell to write something for me!’ ['Happy'] is so far from what’s going on in the music world, I think that’s what people want to hear. They want to hear something different. And I mean, not only did I love that song, but I don’t know nobody who didn’t love it. I’m talking about secular world and Christian world. Because I’m happy! [Laughs] And I still listen to it. I want to walk around the house, put my earphones on and put that song on. I have it on repeat so I can hear it five or six times. So Pharrell, put the pencil down and write me a song! I don’t want to spoil your happy mood, but this year is obviously the last one you’ll be performing “Christmas (Baby Please Come Home)” on the Late Show with David Letterman. I know it’s probably not easy, but out of your 37 performances, is there one that stands out? There’s actually two. They decided to televise the show [in 2000] to all the military [in Bosnia] and not only that, they had the Singing Sergeants [of the United States Air Force] come and sing “Christmas (Baby…)” with me. So that night was the first night I ever wore a gown. I said, ‘Okay, this is going to be special.’ It resonates in my head what Christmas really means: there was a war that did not happen and now we’re singing to the soldiers and now the Singing Sergeants are with me, and it looked fabulous on television to see them in all their uniforms and me in a gown. So, that’s probably the one I remember most, more than any of them. That and the very first one [in 1986]. How I looked was so funny! Have you gotten a chance to talk to David Letterman since he announced his retirement? I got a chance to talk to Paul Shaffer and I said, ‘How are you feeling about all this?’ And he said, ‘Good and bad.’ You know, it will allow him to do more things he wants to do, finally have the time to do it. But he said, ‘Me and you, we’re always going to be connected.’ And I told him, ‘Have you ever thought about maybe me and you should get together around Christmas time and do a gigantic Christmas show?’ He said, ‘You know what, that sounds like a great idea.’ Well, we can do it now! Are you already thinking about what you’re going to do in the Christmas years to come? Do you have something special planned for this final performance? You know what, it’s amazing, when I talk to Paul he said, ‘We have to do something fantastic!’ and I said, ‘Well, you always do. How do you top yourself?’ They leave it up to him so all I have to do is show up and sing! So you know I just sit back and wonder what he’s going to do this year. He surely can’t put more people in than he has. One year it was so big with the strings, there was hardly had any room for me to stand. David comes over after I’m done singing, saying, ‘Where did all this people come from? Who’s paying for all of this?’ And I said, ‘You are!’ [Laughs] Last year, I think I was almost in David’s lap. But, I’m waiting just like everybody else for what Paul is going to do. It’s going to be excited, whatever he comes up with. Well, he changed one of Elvis Costello’s songs and made it an uptempo song instead of a ballad, I thought, ‘How the hell—excuse me—is he going to do that? It’s a ballad!’ But when we got back to the studio after a couple of days he had changed that song. It was amazing and he sent it to Elvis Costello to show Elvis what he had done. And he said, ‘This is fantastic!’ You never know with producers what they’re going to do with their imagination. And Steven’s got a big one. Can't wait to hear this - and I hope Elvis records the ballad version! In a few weeks, Van Zandt will be putting out the "Lilyhammer" soundtrack. He's also finishing an album for Darlene Love, with songs contributed by Springsteen and Elvis Costello, among others. "She's the greatest living female singer as far as I'm concerned. And she's still amazing as ever," says Van Zandt, who expects to get the album out by February or March. "It's gonna be a really special record." This is what you call irony: While cleaning someone else's house to make ends meet, Darlene Love heard one of her songs playing on a radio. Love recounted this painful post-stardom, pre-comeback moment in the 2013 documentary "20 Feet From Stardom." In March, that movie won an Oscar, and Love made her acceptance speech memorable by doing what she does best: singing. Love spoke in a recent telephone interview. Q. On Oscar night, you sang "His Eye is on the Sparrow" during your acceptance speech. Did you know you were going to sing? A. No. The night before the Oscars, I was at a pre-Oscar party. They wanted me to go onstage and say thank you for the ladies in the film. They were saying, "You should sing something." I thought, "You've got to be kidding. This is Oscar. I'm not prepared." They prepare for weeks on that show. But I stopped for a few minutes; I said, "Lord, give me a song." And that's the song he gave me. Even with that, I was still nervous. Q. Had you known Whitney Houston recorded "His Eye is on the Sparrow" for her final film, "Sparkle"? The recording was released after she died. A. It's amazing, because whenever she did any of her shows, she always sang that song. I saw her sing it many a day. A lot of times, she would sing it a cappella. I never thought about that until after I did it. It's a song that expresses what Whitney felt about the Lord. I wasn't thinking about that when the song came to me. But later on, I thought, "This is the song Whitney sings all the time." So, yes, I did know how she felt about that song. Q. For those who are not familiar with gospel music, what does the song mean? A. "His Eye is on the Sparrow" means that God is always looking at us, like he looks at the birds. He takes care of the birds. So when you say his eyes are on the sparrow, you know that he's watching you. Q. "20 Feet From Stardom" shone a light on background singers. Was the documentary a vindication of the background singer's role? 20 feet from stardom. We were the support group for the singers. The stars looked up to background singers to do their job and be great at what they do. And we always had a lot of fun singing behind the (lead) singers. Q. Will you sing "Christmas (Baby Please Come Home)" on the David Letterman show again this year? A. Oh, yeah. This'll be the 28th year and probably the last, since he's retiring. I talked to Paul (Shaffer, Letterman's bandleader) a couple of weeks ago. I said, "What are we gonna do?" Paul said, "Well, Dar, I don't know." I said maybe we should get together and do a gigantic Christmas show. He liked that idea. So it won't be the end of us singing that song &mdash; just the end of us singing the show on the David Letterman show. Q. What can you tell me about your upcoming album? A. Steve Van Zandt and his wife (Maureen) chair a group called Little Kids Rock. I did an event for it (Right 2 Rock in New York in 2013), and sang a duet with Elvis Costello. That (song is) on the album. Steven Van Zandt promised me 30 years ago that he would do an album with me. We didn't realize it would take this long (laughs). We waited for the right time, and now is the right time. Q. Please talk about Bruce Springsteen's participation on the album. It's a mutual admiration society between you two, isn't it? A. It is. Mostly, though, Steven Van Zandt is producing it. We've been waiting for a song from Bruce. He was the last one. He takes his time. He wants to give you the best. He and Steve have been talking about it the last couple of weeks. I asked Steve, "Do you think we'll get him here?" Steve said, "I don't want him here until (the song) is done!" I can't wait to finish it. Q. Who'd have thought your career would be going this strong at this stage of life? A. I know! I could just scream, I'm so happy. It just proves that if you're persistent and you hang in there long enough &mdash; and if you're healthy and have the support of your loved ones &mdash; that it will come to pass. "He (Elvis) then said, “Here’s a song I wrote and I dreamed Darlene sang it.” His dream then promptly came true, as Darlene Love joined him onstage for “Still Too Soon To Know” (from his 1994 album Brutal Youth)." "Still Too Soon To Know" - can't wait to hear her version! It's one of my favourite Elvis songs! "I'm all bundled up and ready to brave the deep freeze!! Haven't left my house in a few days but when Stevie Van Zandt calls you to record more vocals I'M THERE!" Hopefully the album is ready by now. Eighteen years ago, with one of the most thrilling views in the world behind her, Darlene Love, flanked by Merry Clayton and Marianne Faithfull, tore the roof off Manhattan's Rainbow & Stars nightclub in "Twentieth Century Pop" — arguably the best revue that glittering venue had ever presented. Among the highlights: Love's soaring solo on the Sam Cooke anthem "A Change Is Gonna Come." According to Love, who will take the stage at bergenPAC on, suitably enough, Valentine's Day, her life has changed remarkably since then. And those changes were, in Cooke's words, a long time coming. Love, now 73, made her mark in the early 1960s, climbing to the top of the charts with her group, The Crystals, on the Phil Spector-produced classic "He's a Rebel," before becoming the patron saint of backup singers, bringing her powerhouse voice to the recordings and tours of a diverse group of superstars, from Cher, to U2, to, yes, Cheech & Chong, on their 1973 single "Basketball Jones." Bruce Springsteen, who has written a song for her upcoming (and as yet untitled) album, has also performed with Love, whom he has called "a one-woman wall of sound." That album, though, is only one of the recent, wonderful developments in Love's life, along with her induction into the Rock and Roll Hall of Fame in 2011; her leading role in the Oscar-winning documentary "20 Feet From Stardom"; and a biopic of her life, starring Toni Braxton for the Oprah Winfrey Network (OWN) that's due in December. "There have been many changes," Love says, in a voice that seems to ooze enthusiasm with every syllable. "And most of it has come from moving back to New York from Los Angeles 20 years ago. I began performing here again, at the Bottom Line, at Rainbow & Stars and all these people — and the press — came to see me and were like, 'Oh, there really is a Darlene Love! She really does exist!' "
Love credits Letterman with giving her an unexpected sideline. "Because of Dave," she says, "everyone wanted me on the road for Christmas shows. My Christmas career became so big, everyone wanted me in November and December. And I'd say, 'Hey, there are 10 other months! What about them?' "
The singer isn't complaining though. "The last four or five years have been intense … wonderful," she says, "and I'm looking forward to the album, although it's taken forever because of our schedules. We went into the studio in August and then Bruce said he was going out on the road for a couple of months. And with Bruce that means years. "And Stevie, I've known him for 20 years. Our relationship has been very close, and I love working with him. In the studio, he's a wild man. You can see the wheels turning in his head. But he's all over the place now, too, with his new television series and everything else. He has about 10 businesses going. I don't know how he does it. But then, a few weeks go by, and I'll hear from him again. His assistant would send me a song with a note from Stevie, 'Here's a song we're going to be learning...' and then Stevie will Skype me a few days later and ask, 'How's this key?' "
The album, which Van Zandt is still mixing, "is a little bit of everything," Love notes. "Stevie and Bruce are rock-and-roll with some pop thrown in. I'm pop with rock and gospel thrown in. The song Bruce wrote for me will take you back to the Spector days. I love it. And the Elvis Costello song, which is also terrific, is going to be a duet with Bill Medley." Love promises to do at least one of the new tunes at bergenPAC, though that prospect, she says, has made Van Zandt nervous. "He's very protective," Love says of her manic producer. "He said if I'm doing one of the new songs before the album comes out, it has to be 'perfectly right.' He told me, 'I have to be sure your band knows how to play it.' I said, 'They're a great band! They can play anything!' "
Considering the songwriters involved — Weill and Mann wrote for the likes of Jay and the Americans and Eydie Gorme, a far cry from the sort of tunes Springsteen and Costello compose — it's hard not to ask her, "What exactly is a Darlene Love song?" Love laughs at the question. "I'm new songs, oldies, Christmas songs. I think my fans decide what a Darlene Love song is. And that's great. You want to talk about changes? It's an amazing gift life has given me: To know I can get up there onstage now and sing what feels right and have people appreciate it." Love, who can also be heard singing a duet of her hit "He's Sure the Boy I Love" on the latest Bette Midler album, says "People come to my shows today, and it's not this song or that song. They come to see Darlene Love," she says. "And what's better than that? They know they can sing along, they can get up and dance, have a good time and feel good. And as long as I can make people feel good, I'm going to keep doing it." Stevie Van Zandt takes SXSW! Yesterday, Steven arrived from LA (where he's mixing the Darlene Love album! ), and jumped on stage with Robert Rodriguez, along with (Mark & Rick) Del Castillo...‪#‎WickedCool‬ start to the festivities in ‪#‎Austin‬! Sorry for the late post...saw DL in New Brunswick, NJ late April...she said the release date is in September 2015. 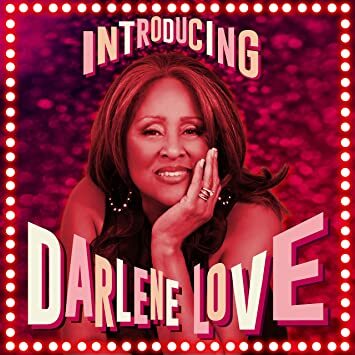 Guitar great/artist/producer/E Street Band icon Stevie Van Zandt has signed seminal pop legend Darlene Love to his Wicked Cool label, partnering with Columbia Records to release a new album by Love coming this fall, titled Introducing Darlene Love. Van Zandt arranged and produced the album, enlisting a star-studded cast to contribute songs to Love's return to Marquee-pop music making, including, among others, Elvis Costello, Bruce Springsteen, Stevie Van Zandt, Jim Webb, Linda Perry, Desmond Child, Joan Jett, and legendary songwriting team Barry Mann and Cynthia Weil, who for more than five decades have reigned as one of the most influential songwriting duos in history. The highly anticipated album will be released in early autumn, with Rock and Roll Hall of Famer Love imbuing new and classic songs with her signature dynamic vocal delivery that the New York Times has hailed as "a thunderbolt voice embedded in the history of rock n' roll" and Rolling Stone has called "a rare instrument sturdy enough to vault over Phil Spector's 'Wall of Sound.'" The epic E Street Band guitarist commented on the forthcoming release: "Darlene's legendary status is well deserved but I felt the time was long overdue to show a younger generation WHY she has earned that reputation. Partnering with Columbia Records is a dream come true because now I know the world will hear her." Love's five-decade career spans some of the greatest signature moments in music, with the Los Angeles native nurturing her talent early as a member of the Blossoms, a local trio who began providing backup vocals at recording sessions for artists such as Sam Cooke and Bobbie Day.The Blossoms also were featured as part of the house band for the popular '60s music show Shindig, backing up many of the performers who appeared on the series.Love would go on to become one of the most sought-after background singers in music history, recording with Elvis Presley, Frank Sinatra, Dionne Warwick, The Righteous Brothers, and dozens of other vocal giants throughout her career.Her early work with iconic producer Phil Spector on songs such as the pioneering "He's A Rebel," "He's Sure The Boy I Love," and "Why Do Lover's Break Each Other's Hearts," would garner her legend status. She is featured in the 2013 Academy Award winning documentary '20 Feet From Stardom,' chronicling the behind-the-scenes lives of background singers.The accompanying album won a 2014 Grammy in the Best Music Film category. The prolific Van Zandt creates a compelling production aesthetic on Introducing Darlene Love, echoing the classic recording style of many early '60s pop standards on the forthcoming Columbia Records/Wicked Cool release, available everywhere this fall. CD release show at The Paramount in Asbury Park September 12th. Saturday, September 12th, Darlene Love,Steven Van Zandt and friends will be at the historic Paramount Theatre in Asbury Park to debut her first ever Rock album, "Introducing... Darlene Love" one week before the worldwide release on Columbia/Wicked Cool Records. The new album was produced and arranged by Steven Van Zandt and includes songs written by Jimmy Webb, Elvis Costello, Bruce Springsteen, Desmond Child with Joan Jett, Barry Mann/Cynthia Weil and Van Zandt and scheduled for release September 18th. Steven Van Zandt is not only the Producer and Music Director of the show but will be making a long overdue return to Asbury Park to perform along side Love. Van Zandt will be joined by the musicians he hand picked to record on the album. Steven Van Zandt, of The E Street Band fame, actor and solo artist, entered Darlene's life years ago. First as a fan and then in the early 80's convincing Love to return to New York to perform at such venues as The Bottom Line, performing the songs that made her famous and re-visiting her gospel roots. Love went on to perform on Broadway, movies and in 1986 began her holiday tradition of performing "Christmas(Baby Please Come Home) on Late Show with David letterman. In 2009 Love performed with Bruce Springsteen and The E Street Band at the Rock and Roll Hall of Fame 25th Anniversary Concert. Not long after that Love was inducted into the Rock & Roll Hall of Fame herself, with a speech by Bette Midler and a performance with Springsteen. Van Zandt has never been more influential in Love's life than right now. From getting her back in the studio, writing, producing and arranging her CD to reaching out to fellow artists to contribute to this newest record. Nothing short of a labor of Love in every sense of the word. Van Zandt states "Darlene's legendary status is well deserved but I felt the time was long overdue to show a younger generation WHY she has earned that reputation. Partnering with Columbia Records is a dream come true because now I know the world will hear her." According to a press release, the album "[echoes] the classic recording style of many early '60s pop standards," meaning that it may bear some sonic similarities to the septuagenarian singer's classic work with Spector. Asbury Park has become somewhat of a second home to Darlene from her shows at McCloone's Supper Club, the Paramount Theatre to benefit the Big Brothers/Big Sisters to a special Q & A session downtown while 20 Feet from Stardom played across the street at The Showroom. What better place to celebrate the release of her new CD then right here. Love & Van Zandt and band perform along with Special Guests, Monmouth County Symphony & Glory to God Singers. VIP & Gold Circle seating include Private After Party with Love & Van Zandt, a filled gift bag including new CD & signed memorabilia from the artists. Partial proceeds from the event benefit the Asbury Park Music Lives Foundation to fund the Lake House Music Academy/Hope Academy Music Scholarships. This show promises to go down in the books as yet another reason why Asbury Park is known world wide for its rich and diverse music history. which is located on Third Avenue and Ocean Avenue in front of the Silverball Museum. We're filming btwn 3pm-8pm with Joan Jett and a few other BIG surprise guests! It's gonna be a lot fun! The summer needs more Love and Asbury Park is about to get it. Rock and Roll hall of Fame member Darlene Love will film video for a new song 2 to 8 p.m. Tuesday, July 28 the 3rd Avenue beach in Asbury Park and producers are making a call for fans who want to participate. All ages are welcome and are encouraged to wear bright and colorful beach attire with no logos, photos or inappropriate sayings. The video producers are looking for a few surfers with their boards and wetsuits as well as some hip-hop and break dancers. The public is invited to dance or just be a part of the crowd on the beach. The video will feature a “Soul Train” style dance-off. Joan Jett, Paul Shaffer and Maureen Van Zandt will participate in the shoot, said Judi Yaccarino of Asbury Park's Sammy Boyd Productions. She said it's likely that Steven Van Zandt, the producer of the new album, will be edited into the video at later date. Van Zandt is out of town, Yaccarino said. “Introducing Darlene Love,” which will be released in September on Van Zandt's Wicked Cool label and will be distributed by Columbia Records, will feature songs written by Jett, Van Zandt, Bruce Springsteen, Elvis Costello, Jim Webb, Linda Perry, Desmond Child, and Barry Mann and Cynthia Weil. Love will play the city's Paramount Theatre on September 12 accompanied by Van Zandt and the musicians who played on the new album. Tickets, $67 to $247, are no sale through Ticketmaster.com and the Stone Pony box office, open noon to 5 p.m. Wednesdays through Sundays and during shows. VIP and Gold Circle seating includes facetime with Love and Van Zandt and a gift bag that includes a CD and signed memorabilia from the artists. Partial proceeds from the show will benefit the Asbury Park Music Lives Foundation to fund the Lake House Music Academy/Hope Academy Music Scholarships. Love's previous hits include "He's A Rebel," "The Boy I'm Gonna Marry," "Wait 'Til My Bobby Gets Home," "He's Sure the Boy I Love" and "Christmas Baby Please Come Home." "It seems like a hundred years ago," since Darlene Love released her last pop album, she says. That was in 1988, but on Sept. 18, the voice behind such Phil Spector-produced hits as The Crystals' He's a Rebel and He's Sure the Boy I Love and her own Christmas (Baby Please Come Home) will release Introducing Darlene Love. Produced by Steven Van Zandt, Introducing Darlene Love contains a pair of songs by Bruce Springsteen, for whom Van Zandt plays guitar, and two others by Elvis Costello. One of those, Forbidden Nights, is a song Costello originally wrote for an unfinished Broadway musical and will be the album's first single. Introducing Darlene Love also includes covers of Joan Jett's 1988 single Little Liar and Van Zandt's Among the Believers, a song from his 1983 Voice of America album. Love also sings a new version of River Deep, Mountain High, which Spector cut with Ike and Tina Turner in 1965 and which Love sang on Broadway in the '80s as part of the cast of the jukebox musical Leader of the Pack. As far as the album title, the Rock and Roll Hall of Famer says, "Van Zandt's whole idea is that he wants to introduce me to a whole new world of people. Since I recorded my first hit record in 1963, four or five generations of people have been born. It is like you're introducing Darlene Love." Love recently spoke with USA TODAY about her new album, a couple of celebrities who got starstruck meeting her and why she owes her career to David Letterman. You shot the video for Forbidden Nights Tuesday in Asbury Park, N.J. What kind of turnout did you get? They've kind of adopted me in New Jersey as their own. Whenever I do something there, it always ends up so big, and there were thousands of people there. In the video, I drive a 1961 Cadillac convertible. As I go down the street, I pick up people. We pick up Joan Jett as a hitchhiker. Later on down the road, we find Paul Shaffer and pick him up. When we get to where we're going to do the stage show, all the people get out, like the carnival where 50 clowns come out of the car. The whole idea is to get people to come see me sing these songs from the new album. The audience had never heard Elvis Costello's song, but they started singing it with us. That's always a very good sign. You turned 74 Sunday. How does it feel to have people like Van Zandt, Springsteen, Costello and Jett still championing you and wanting you to record their songs? These people have known me all these years, but they don't think I've gotten my due yet. I think that's the reason they're writing and pulling for me and doing such great work for me. They say, "She hasn't gotten her due, man, and we're going to do all we can to make that happen." When did you meet Van Zandt? I met him in Los Angeles in the '80s. My friend Lou Adler had a club in Los Angeles. I asked if I could use his club to do a show. He said that would be great and that he'd invite a lot of his friends. Some of his friends were Bruce Springsteen and Steven Van Zandt. One of the things Steven said was, "We've got to get together and do an album together." I said, "Yes, let's do that!" Now, we laugh and say we didn't know it was going to take this long. As someone to work with in the studio, how does he compare to Spector? Steven made me the star of the show. Phil Spector made himself the star of the show. That's the big difference. Because of the relationship Steven and I have, it's a lovefest that we have with one another, to get something great done. It took us a year to do this. Only because we were both working. He laughs and says Bruce said he was going out on the road for a couple of weeks, but he went for a couple of years. So we were recording in between all these dates, between his dates and my dates. Who's someone who got starstruck when they met you? Bruce did, which was amazing to me. He said that Phil Spector's music with me was some of the first rock and roll music he enjoyed listening to. He said he would be in the studio getting ready to record, and he'd lay on the couch listening to Phil Spector's songs. Well, that really blew my mind. When I met Elton John, he said the same thing. It was like I had never been in their circle working, but they always felt I should have been. It has taken a long time, but that's all right — we're ready. Do people recognize you more from singing Christmas (Baby Please Come Home) each year on Late Night with David Letterman or from the Lethal Weapon movies, where you played Danny Glover's wife? Because of David Letterman, but I got quite a few new fans from the Lethal Weapon movies. Everybody fell so much in love with the David Letterman show every year, it became a family affair. It was a Christmas thing. People just walk up to me on the street and say, "Christmas doesn't start until you sing Christmas (Baby Please Come Home)!" Even in my regular shows, when it's not Christmas, they'll say, "We're waiting to hear you sing your Christmas song!" And I'll say, "You'll have to wait a little longer now. It's July. We've got a few more months to go before I go there." Will the tradition of you singing Christmas (Baby Please Come Home) continue anywhere on television? It was such a tradition with me and David that I don't want to get locked in again with one television show. David was the reason my career got kicked off again, because he loved that Christmas song, and I did it for 29 years. Now, since all this is going on in my life, all of Christmas has been booked. They can't even squeeze one more date in December. I'm sure I'll do that song, but first come, first served. Wow, what a great production!. It's on Spotify. And what a FANTASTIC vocal! Had no idea Elvis had two songs on the album - and this is the lead song. Crikey. Good luck to all concerned! I wonder what the unfinished Broadway musical was? How many unfinished stage productions has EC attempted over the years?